One of the most common questions Screen Australia is asked by everyone from the general public to politicians is: how is the screen industry doing? 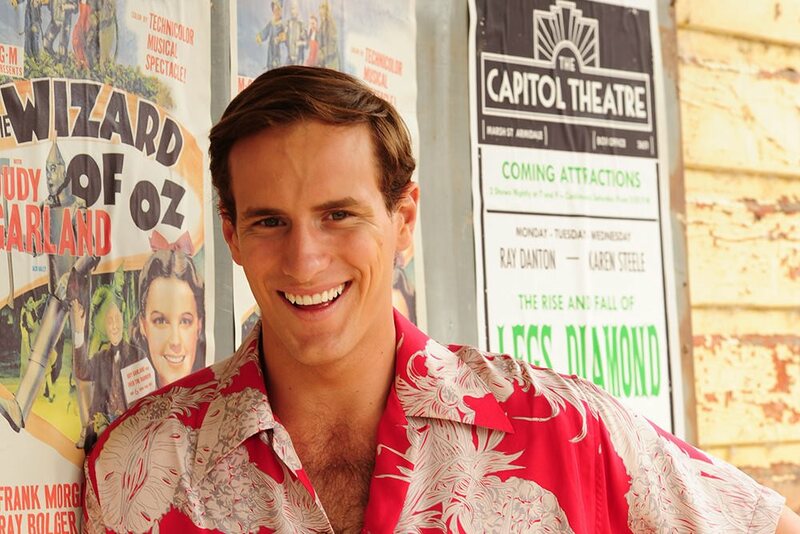 Screen Australia and most of the state screen agencies release their annual reports around September and October, providing summaries of what has gone into development or production. 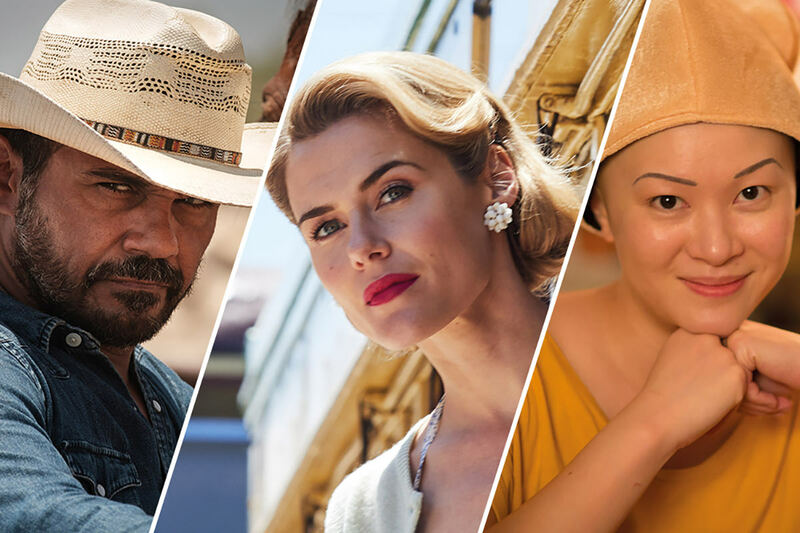 November marks the release of Screen Australia’s annual Drama Report – now in its 26th year – which reports on the production of all feature films and TV dramas in the past financial year. The end of the year brings with it annual TV ratings and box office statistics. It’s also a busy season at the cinema this year, with high-profile films Lion, Hacksaw Ridge and RED DOG: True Blue all due for release. Below we detail five different ways Screen Australia – and others – use these publications and data sets to gauge the screen industry’s health, despite there being so many film, television and online drama projects at varying stages of Development, Production and Consumption at any one time. Individually these mechanisms only paint part of the picture; together they create a sense of where the Australian screen industry is sitting at any point in time, especially if compared to the previous year’s results. Other measures focus in on cultural importance and economic impact of the screen industry. These factors will be analysed in the upcoming landmark Screen Currency report commissioned by Screen Australia, due for release in November. The Annual Report of Screen Australia (and those of other agencies) is useful as it highlights the titles – and filmmakers – that are receiving development support and whose work may come to fruition in the years to come. Development funds can also come from the private sector, broadcasters and other parties, but this expenditure is generally not made public. 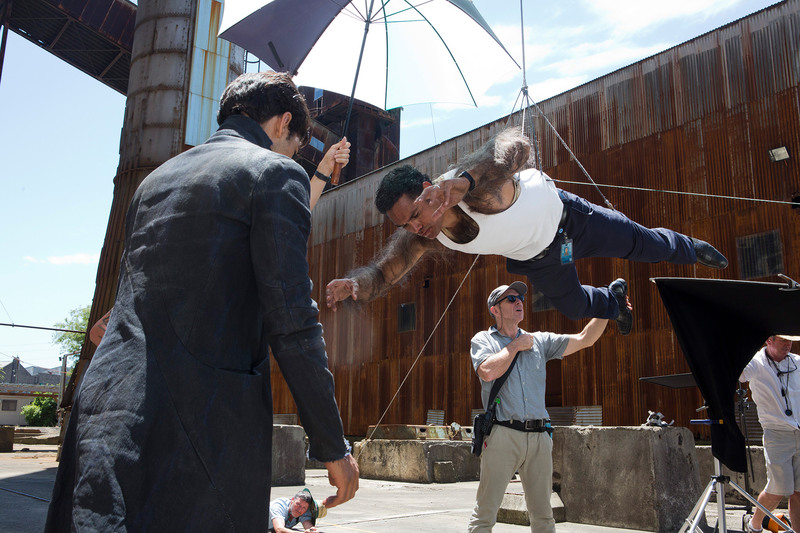 The Annual Report also reveals details about production investments, thereby highlights which films and TV dramas will definitely be made. (Discussed later under #2: Drama Report). “Development” refers to the stages before a project reaches the screen, during which a writer might receive funds to produce a draft of a script, or a team might undertake a workshop with actors as part of the scripting process. Gender Matters: Brilliant Stories is also a development initiative. Some projects never go into production. However, by looking at the active development slate (projects that have received funding and are yet to deliver), Screen Australia can monitor the deficiencies and opportunities across the board – seeing the genres or talent coming through, but also what kinds of stories audiences might be missing out on. Each film’s timeline from development to release is different and there are many unpredictable factors from cast availability to the length of time financing and story development takes. A quiet year in cinemas for Australian films could mean a very busy year for development. Not all Screen Australia-supported projects are created as the result of an organic process, whereby filmmakers come to the agency with their idea, hoping to take it to the next stage. In television, the development of TV drama largely occurs through the production houses, state agencies and broadcasters – which is in turn influenced by Australian content quotas and the broadcasters’ scheduling and marketing plans. 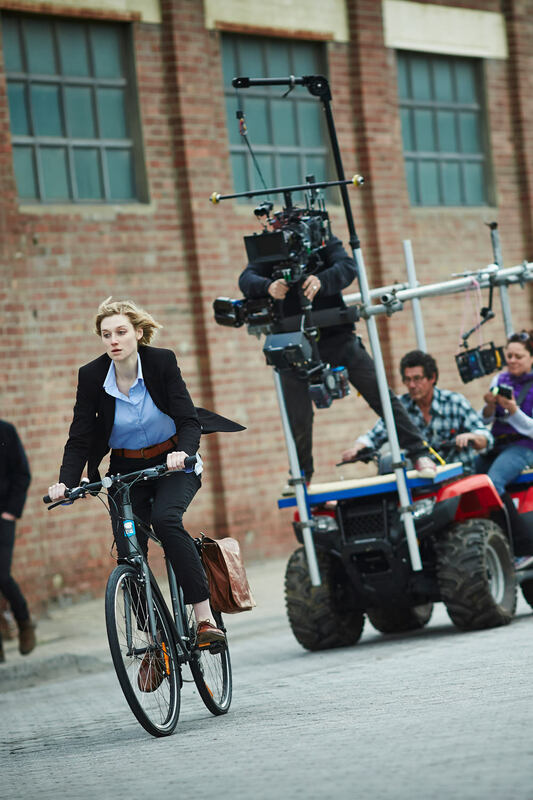 Screen Australia’s role for television drama generally comes in as one of the last pieces of the financing puzzle, which enables the TV drama to commence shooting. Screen Australia may also be more proactive and encourage the targeted development of projects in new growth areas. In 2012, the agency received a special four-year allocation to develop innovative online and interactive projects. The funding allowed projects to be developed not just in paper format but through the filming of pilots and low-budget seasons, which proved to be powerful tools to grow an idea, attract marketplace, and build an audience. The funding was used for successful special initiatives such as Fresh Blood (with ABC) and Skip Ahead (with Google).This special funding proved to be a significant boost to new talent, and was also used to support a range of unorthodox series such as The Katering Show, supported from development through to season two, which has gone on to be the most successful ABC iview original series of all time. The special funding will end in this financial year. As mentioned, Screen Australia’s Annual Report also publishes the projects that receive ’production investment’, the money provided to actually shoot the TV drama or film. The year when a title receives production investment might not be the same year in which it is filmed. 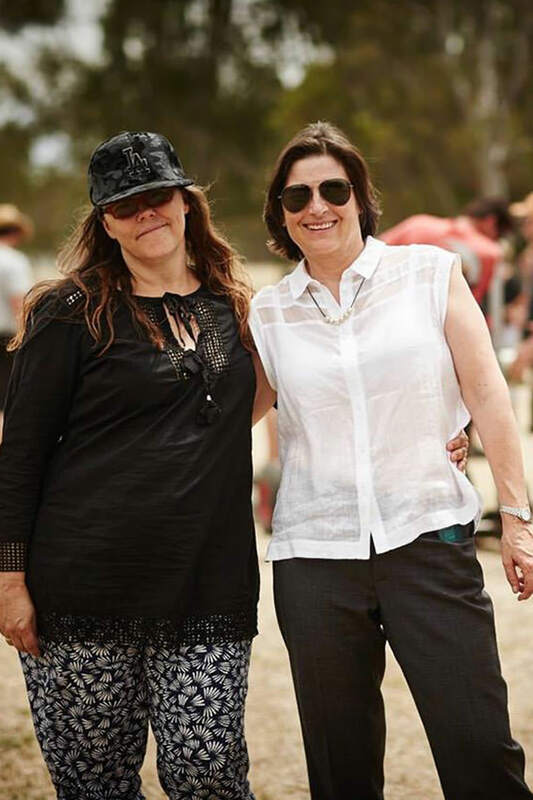 In the 13/14 Annual Report, The Dressmaker was awarded ‘Feature Production’ funding, but director Jocelyn Moorhouse didn’t actually begin filming until more than a year later. It is not practical to only rely on one source to predict what’s in production. 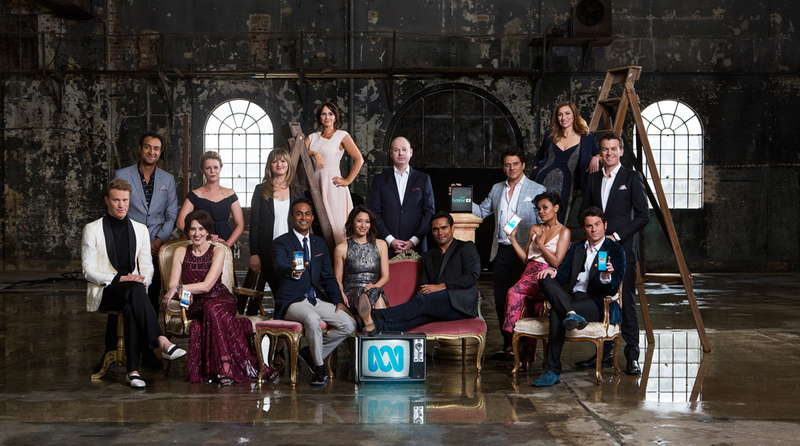 Enter Screen Australia’s Drama Report. This report lists what Australian feature films and TV dramas (mini-series, telemovies and series/serials) went into production in the past financial year and provides data on the slate and comparisons to the four years prior. It has been released annually by Screen Australia and its predecessor agency, the Australian Film Commission (AFC), since 1990. From 13/14, content made for Catch-up TV or subscription Video-on-Demand (VOD) has been captured too providing it was 60 minutes or more in total length (e.g. ABC’s Wastelander Panda or Stan’s No Activity). Features with budgets of less than $500,000 are included in the report only if they have had a cinema release or major festival screening. Foreign titles that are not filmed in Australia, but carry out post, digital or visual effects (PDV) work in Australia. The date that principal photography started (or PDV started in the case of foreign projects that just come for post) determines which year’s Drama Report a title is featured in. For instance The Kettering Incident started filming in August 2014 so was included in the 14/15 Drama Report, despite the show receiving Screen Australia production funding in December 2013, and not airing until July 2016. In addition, The Drama Report outlines the operation of the Producer Offset (PO) tax rebate for domestic Australian projects and official co-productions, incorporating data gathered through surveys and publicly available sources. This adds to the report’s comprehensive overview of drama production activity in Australia and the PO’s contribution to the financing of the annual slate. The PO is administered by Screen Australia. It is an indirect subsidy whereas Screen Australia’s directly invests. The 15/16 Drama Report will be released by Screen Australia on November 3. Subscribe to our mailing list to be notified upon release. Television ratings track viewer behaviour, thus indicating what programs are connecting with Australians. But for Screen Australia and the wider industry they also aid with decisions about what programs to develop. Advertisers make spending decisions based on ratings and financial institutions and the media use ratings to assess the performance of television networks. It’s worth looking at how ratings in Australia are compiled. Households are contacted initially via a random large-scale phone survey and then a panel is recruited to reflect the composition of the overall national population. OzTAM measures TV ratings in metropolitan areas and Regional TAM in regional areas through a device called a Peoplemeter, which monitors the working TVs found in the homes in the panel. These small black boxes use audio recognition to store information such as what is being watched, when and for how long, in the same way an app such as Shazam identify what song is on the radio. A Peoplemeter also logs who is watching, through residents and guests using a remote control to register if they are in the room when the TV is on. Homes recruited in the panel are not paid to participate and can remain on the OzTAM panel for a maximum of four years. In July 2016, OzTAM announced it would be increasing the number of homes in its panel by 50 per cent. This would take the metropolitan panel to 5,250 homes and its STV (subscription TV) panel to 2,120 from the present 3,500 and 1,413, respectively. Regional TAM has also announced the expansion of its own panel by 50 per cent to more than 3,000 homes. According to OzTAM, when these changes (including Regional TAM’s expansion) come into effect in 2017, Australia will be the largest people metered market per capita in the world. This table shows how current Peoplemeter households are distributed, in line with population density. Note that Northern Territory is currently not captured in the ratings. ‘Overnight’ ratings – available each day for users wanting a ‘next day’ indication of viewing behaviour. These ratings report on viewing that occurred live at the time of broadcast as well as the playback of any content recorded that day and played back before 2am (the end of the research day). Two business days after broadcast, ‘Revised overnight data based on confirmed program logs’ then becomes available, taking into account programming changes and overruns. ‘Consolidated’ ratings (7 day) – includes viewing from broadcast TV recorded and played back through the television set within seven days after broadcast via personal video recorders (PVRs), such as Foxtel IQ. It was introduced in 2010 because audiences were increasingly deciding for themselves when to watch TV. ‘Consolidated’ ratings (28 day) – includes viewing from broadcast TV recorded and played back through the television set within 28 days after broadcast. Though viewing between 8 to 28 days is small, it was introduced in April 2016 in recognition of the growing preference of audiences for binge viewing. It’s significant for TV drama in particular, which can gain a large percentage of total audiences from playback viewing. It is the preferred performance measure of the broadcasters. Video Player Measurement (VPM) – measures viewership of content available on broadcaster catch-up TV services (ABC iview, SBS On Demand, Plus7, 9Now, Tenplay, Foxtel GO) via internet connected devices such as tablets, smartphones, smart TVs, desktop and laptop computers and games consoles. The first VPM reports were publically released in February 2016. The VPM service is separate to the TV measurement service and includes two daily downloadable PDF reports which list the top 10 programs across all networks ranked on VPM Rating (Total minutes played across all devices divided by the content length and rounded to the nearest 1000), as well as the Top 5 for each network, within a rolling 7 and 28 day period. Measurement of live streaming and demographic data is expected to be rolled into the VPM in 2017. The below table gives a sense of what ratings numbers look like for recent TV drama. Note these figures are series averages (the average number of viewings for each episode across the series)*. *Source: OzTAM and Regional TAM, 5-city-metro, combined markets, total people, average audience, Live, Overnight, 7 day consolidated, 28 day consolidated. Metropolitan data is copyright to OzTAM and Regional data is copyright to Regional TAM and may not be reproduced, published or communicated in whole or part without the prior consent of OzTAM or Regional TAM. There are currently no plans to measure TV content viewed via SVOD services such as Stan and Netflix. Access to ratings data requires a subscription to OzTAM, although OzTAM publishes weekly reports free of charge and also provides daily reports to certain companies that have signed an agreement with OzTAM and have permission to publish these reports, an example being the online news service TV Tonight. The VPM PDF reports are also available publicly free of charge. Further reading: Mumbrella’s analysis of OzTAM’s latest Australian Multi-Screen Report. Until recently a television program only had one or two broadcasts but now it has an increasingly ‘long tail’, meaning its reach is much greater than its first airdate. So while the media still often focus on overnight figures when ratings performance is newsworthy, these don’t include catch-up TV, recording on set top boxes, free-to-air secondary channels or streaming services. Nor do they take into account the impact these series can have overseas, that is, on streaming platforms, international broadcasters or on DVD. So, yes, ratings are a significant contributor to any assessment of the health of the overall industry but they require considered examination. The Australian box office results are released by the Motion Picture Distributors Association of Australia (MPDAA) and clearly indicate what feature films are capturing the imagination of the Australian public. The MPDAA is supplied these figures by distributors, comScore and companies such as TUGG (when the title does not have an Australian distributor). It releases them in bi-weekly box office reports to subscribers, as well as a special annual report with summary information published in late January. The service is subscription only, however it is offered to Australian producers (and their creative teams) free of charge while their films are in cinemas, and basic information is available to the general public on the MPDAA landing page, such as upcoming releases and the current week and weekend box office. Screen Australia utilises this data to monitor how individual local films fare at the box office and the slate as a whole, including its share of the total revenue from ticket sales to all films released across the country. 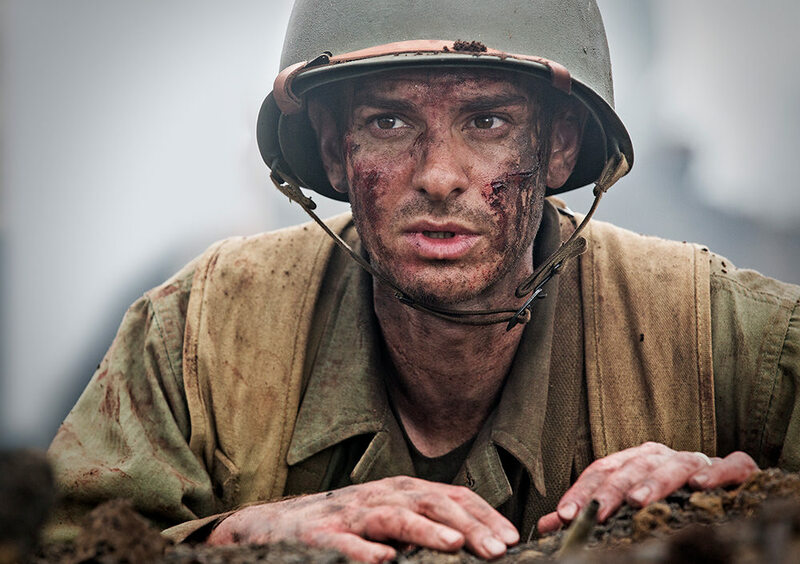 The way the Australian cinema release cycles operates means some of the year’s biggest Australian films open toward the end of the year, geared toward the summer holidays and – in the case of Lion and Hacksaw Ridge for example, the lead-up to the international awards season. In September Lion premiered to positive reviews at the Toronto International Film Festival ahead of a 19 January 2017 Australian release, while Hacksaw Ridge debuted to critical acclaim at the Venice Film Festival, with Icon marking 3 November 2016 for its theatrical run. 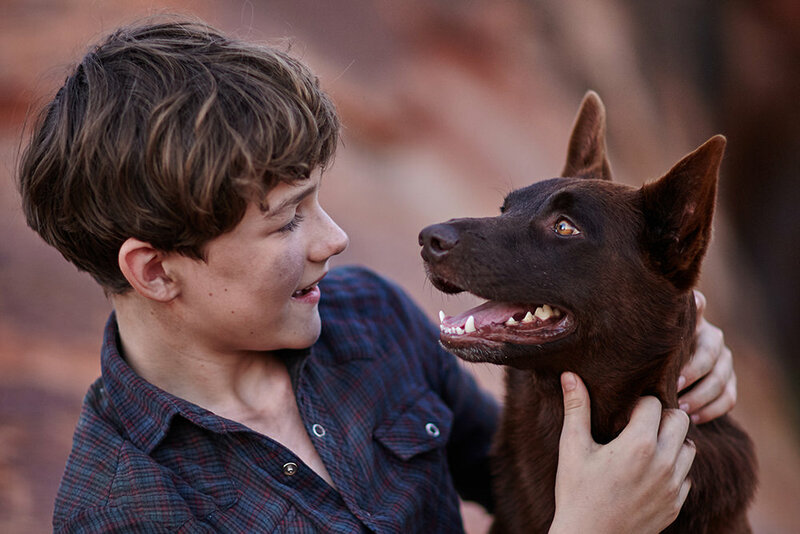 Another film looking to capitalise on the summer box office potential is the prequel Red Dog: True Blue, which is aiming to follow-up the original film’s success with a release on Boxing Day 2016, one of the busiest days of the year in cinemas. Because of the timing of something like Hacksaw Ridge and Red Dog: True Blue (releasing late in the year) and the MPDAA yearly box office report (early the following year), the revenue will be split across two years in the MPDAA’s records. This happened with The Water Diviner, which was released on Boxing Day 2014 and pulled in $5.7 million over six days. In 2015, it earned a further $10.1 million. As such, using a single year of box office results – good or bad – as a performance indicator, needs to be seen in context. Screen Australia analyses box office share as three-year rolling averages. This allows for release patterns in Australia (such as the tradition of Boxing Day openings splitting titles over calendar years), plus the fact that local box office is often driven by one or two break-out big-budget Australian hits every couple of years, e.g. The Great Gatsby in 2013 and Mad Max: Fury Road in 2015. This graph makes the distinction between annual box office share and averaged figures. Year to year, the industry can appear volatile, but if you consider the last 10 years (2015 and earlier), the average share was 4.3%. A film has to be accessible to a large number of potential filmgoers – that is, in a cinema near to them – for it to have a good chance of being well patronized. The Australian Films in the Marketplace (2009) report found that 82% of Australian films are released on less than 100 prints nationally (in the industry a ‘limited release’ is less than 20 screens and a ‘specialty release is 20-99 screens). By comparison, the ‘blockbuster’ category has 400+ prints. In the limited release and speciality release categories, Australian films accounted for a 15% share of the box office. In the limited release category, the median box office for Australian films is similar to that for UK and US films. In the specialty release category, median box office for Australian films is higher than for US films. Further reading: Page 15 of Issues in Feature Film Distribution report (2015) and through this infographic. Factoring in that Australian films are generally in English and face tough competition from US and UK films and that the country has a relatively small local population to consume these films, Screen Australia uses a goal of 4.5% box office share across a three-year rolling average to measure success. Local box office performance is just the one measure of a film’s financial success, because it doesn’t take into account sales to international territories or subscription services, ratings on free-to-air television and so on. For example, The Dressmaker grossed more than $20 million at the Australian box office and went on to sell more than 200,000 DVD units locally. The number of times audiences are watching videos (as in content made for watching online) online is an indicator of the appetite for Australian content, which then feeds into demand. Online video creators RackaRacka accumulated more than 70 million views across YouTube and Facebook for their Versus series (RackaRacka’s total video views have surpassed 360 million on YouTube alone) – showing the viewing potential of such platforms into the future. The Adelaide-based creators were recently profiled by Variety Magazine as being one of the 10 ‘famechangers’ of 2016 and are developing their own feature film with Screen Australia support. Broadcasters have also been paying attention to this online space. Screen Australia-funded Starting From Now seasons 4 and 5 proves it. After building their following over the first three seasons and garnering 20 million views in less than two years, the filmmakers behind Starting From Now received funding from Screen Australia and Screen NSW to create season 4 and 5. These two seasons were picked up by SBS2 and aired in March 2016. Filmmaker Michael Shanks (aka popular YouTuber timtimfed) also made the six-part series The Wizards of Aus, which was picked up by SBS upon completion, and has had three million views across the series on YouTube. Other examples include The Katering Show (see #1: Annual Report) and ABC series Soul Mates, a spin-off of the popular YouTube series Bondi Hipsters. Views can mean different things depending on the platform, be it Vimeo, YouTube or Facebook. As Facebook recently clarified, in the past two years a single ‘view’ has been based on whether someone watched a Facebook video for more than three seconds – not the entirety of the video. Views are hard data, but care has to be taken with the interpretation. It was acknowledged at the 2015 ASTRA conference that a single cross-platform measurement that captures digital and television metrics is a long-term goal for the industry. For further reading, visit Screen Australia’s Fact Finders section or subscribe to the e-newsletter, which will mean being notified when the Annual Report, the Drama Report and Screen Currency are available. If you think you have an idea for the next Mad Max, Offspring, The Katering Show or Sherpa sitting in your drawer, visit Screen Australia’s Funding and Support section to find out how to take that idea to the screen.